Say goodbye to migraines, tension headaches and sinus pain! Therawell - Headache Relief Wrap was specially designed with therapeutic gel-filled beads that stay flexible and conform to the shape of your head to deliver natural, drug-free pain relief. 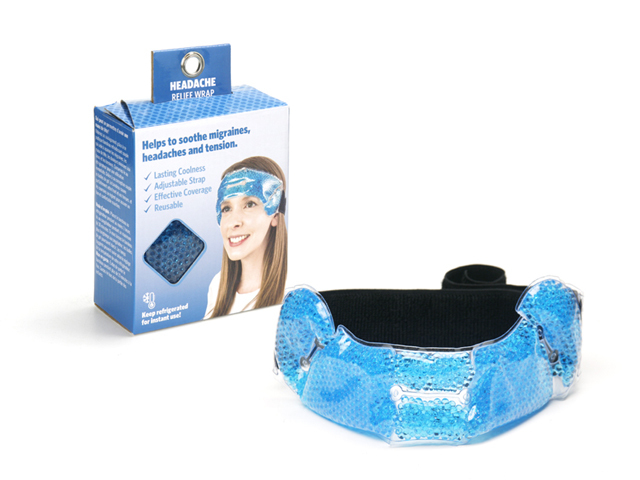 The cold treatment cools and constricts blood vessels, helping to alleviate tension headaches.